SEYMOUR BOSWORTH, CDP, is president of S. Bosworth & Associates, Plainview, New York, a management consulting firm active in computing applications for banking, commerce, and industry. 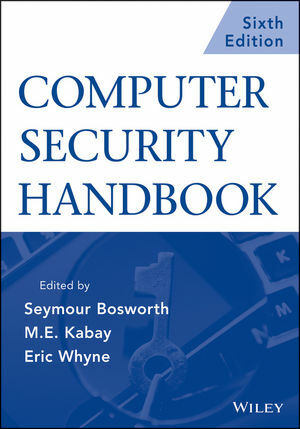 Since 1972 Bosworth has been a contributing editor to all four editions of the Computer Security Handbook, and he has written many articles and lectured extensively about computer security and other technical and managerial subjects. He has been responsible for design and manufacture, system analysis, programming, and operations of both digital and analog computers. M. E. KABAY, PhD, is Associate Professor of Computer Information Systems at Norwich University, where he is also director of the graduate program in Information Assurance. During his career, he has worked as an operating systems internals and database performance specialist for Hewlett-Packard, an operations manager at a large service bureau, and a consultant in operations, performance, and security. ERIC WHYNE is?a Captain in the United States Marine Corps. He has worked as a researcher for the National Center for the Study of Counter-Terrorism and Cyber Crime.